Origami Cranes design in cheerful blue, green, violet and gold colors! 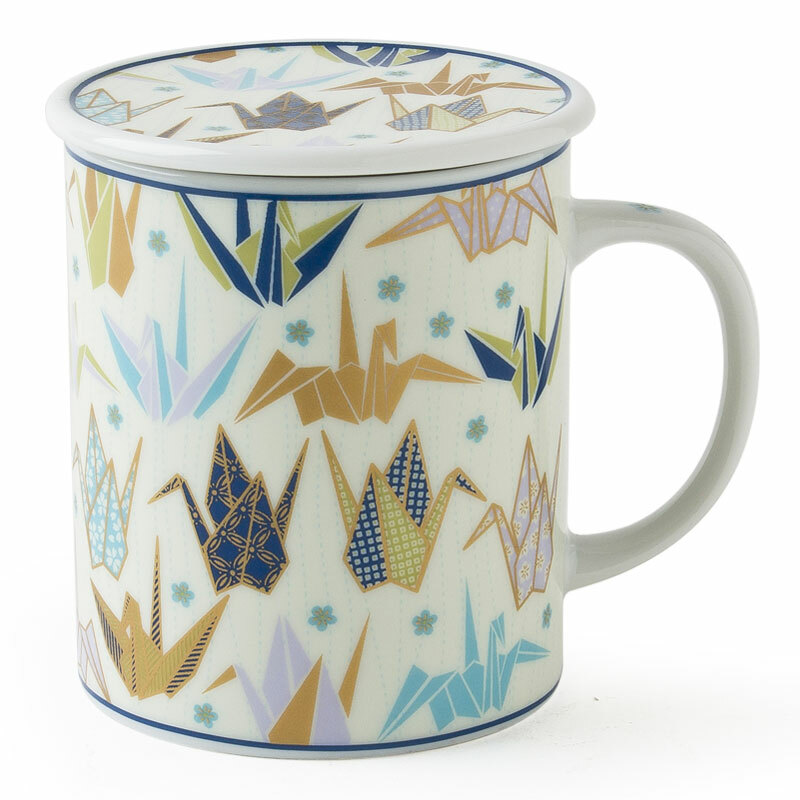 Another whimsical design mug from our friends at Jewel Japan!. Lid helps keep your beverages warm or it can double as a tea bag/cookie holder.